In a move designed to strengthen and enhance its offerings and capabilities, CottrillsReward, a 28-year-old reward and recognition company serving the UK, announced its merger with Terryberry, a 100-year-old global recognition provider. Going forward, the organisation will trade under the TerryberryReward banner in the UK. Founded over 25 years ago in Macclesfield, the company continues to serve clients such as Tesco PLC, AstraZeneca, Ford Motor Company, Network Rail and Marks & Spencer with a wide array of reward and recognition programmes, such as long service awards and targeted incentives. Offerings are designed to engage and stimulate participants to achieve business objectives. The TerryberryReward management team will be led by Managing Director Paul Calnan, who returns to the business that he first joined in 2010 and will lead the team in developing the future company strategy in the UK and Europe. Paul Calnan, Managing Director TerryberryReward. TerryberryReward continues to operate in Macclesfield and is poised for growth. The new partnership also involves a move to a larger, more modern facility at 13-15 Beech Lane, Macclesfield, Cheshire SK10 2DR, with a recent opening celebration attended by UK Member of Parliament David Rutley. 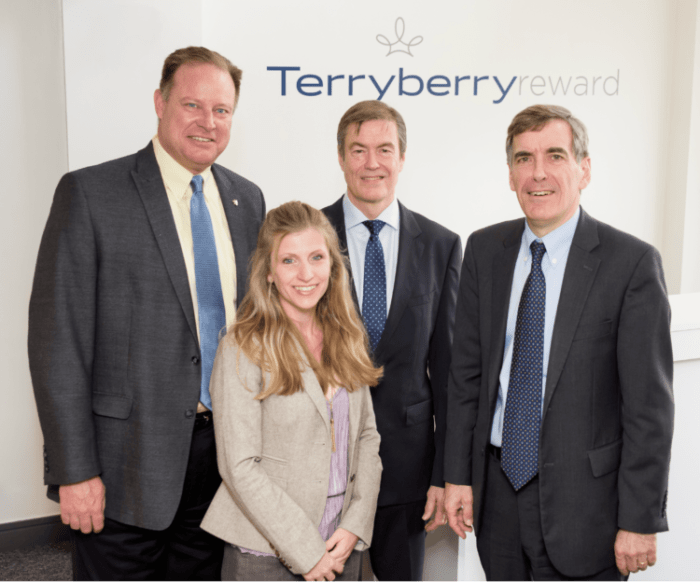 (Left to Right) Terryberry Partner David Beemer, Terryberry Marketing Director Jenny Watkins, TerryberryReward Managing Director Paul Calnan and UK Member of Parliament David Rutley. Accountants Hurst provided financial due diligence and corporate finance support to Terryberry. Terms of the merger were not disclosed. Paul Calnan, Managing Director of TerryberryReward.